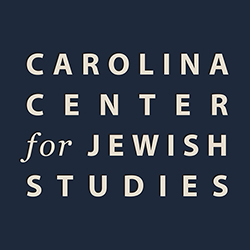 Undergraduate students at Carolina have the opportunity to work on behalf of the Carolina Center for Jewish Studies as paid interns. Interns focus on outreach, events, and marketing efforts. The internships offer $10.00 per hour and flexible schedules. Check our social media and home page for announcements regarding applications. 2018-2019 applications accepted until September 21st, 5:00pm. Send resume and list of references to jewishstudies@unc.edu. Lori and Eric Sklut, of Charlotte, NC, have generously underwritten the internship program, which was initiated in the 2016-2017 academic year. Last year, the interns worked on events related to the Center’s 15th anniversary showcase and produced a new video for the Center.